to offering hope and help to a world in need since 1997. 1986-1996: All our humanitarian services were offered with specific project names until it was organized and brought under one banner. 1997-2000: AIM ASIA was launched in 1997 and was officially registered as a Charitable Trust with the Government of Andhra Pradesh in the year 2000. It took over many service projects like orphanages, Day Care Centers, leprosy care project, vocational training center, etc. from a sister organization. This also included a Girls' Home in Hyderabad with 60 destitute children. Many Widows Support Centers were opened. A monthly magazine was launched. A new orphanage for boys was started at Dandeli. 2001: Nation-wide Literacy Program was activated. Computer Academy in Hyderabad was affiliated to a reputed educational network known as National Computer Education Society. 2002: AIM ASIA became a patron member of Andhra Pradesh Sickle Cell and Thalassemia Society to serve children with genetic disorder. 2003: Literacy work was launched in Punjab. AIM visited Kalimpong to serve the youth in the Hills. A computer academy was set up to train unemployed youth in the slums of Hyderabad. Immanuel Conference was officially launched. 2004: Day Care Centers served mid-day meals to street children. An orphanage for boys was started in Chennapatna. 2005: AIM ASIA went to Andaman Islands to serve Tsunami victims. Immanuel Center for Cultural Studies and Research was established. 2006: A 4-day "Festival of Peace" was organized in Cuttack to celebrate 20 years of Joab and Suchitra's mission to the poor with the participation of 600 native workers and over 2000 local Christians. 2007: Immanuel Boys’ Home was inaugurated in Hyderabad on 14 November. Eighty destitute boys were taken in to occupy this beautiful two-storey building. Anniversary celebration was held in the new Immanuel campus. 2008: Two Children's Homes were initiated in Daringbadi and Rayagada to take care of destitute children. A Conference center was built in Immanuel Campus, Hyderabad. 2009: Two new orphanages were initiated in Orissa and one in Chhatisgarh. Dicku led the Wellspring team to Jagadalpur for the inauguration of a Boys’ Home on November 22. One of our orphanage girls, Balamani, joined engineering. 2010: An orphanage was launched in Jaigaon, West Bengal. A sewing center started functioning in Bhubaneswar. Training Seminar was held for the first time in Punjab. 2011: Foundation stone for Dicku Memorial Medical Clinic was laid at Madhapur to mark the Silver Jubilee year. Foundation for a Technical School was laid at Gowliguddem. A clinic for leprosy patients got underway in a leprosy colony in Hyderabad. A Girls’ Orphanage was inaugurated in Jagadalpur. Friends of Immanuel University and India Board were formed to initiate Immanuel University in Hyderabad. 2012: Immanuel Academy of Post Graduate Colleges was launched with an MBA College. Vocational Training Institute, Medical Clinic and Craft School for the family members of leprosy patients were started in Hyderabad. A new hostel for prisoners’ children was initiated. 2013: In October, an orphanage building was dedicated in Jagadalpur. Foster Homes initiated in Andhra Pradesh. 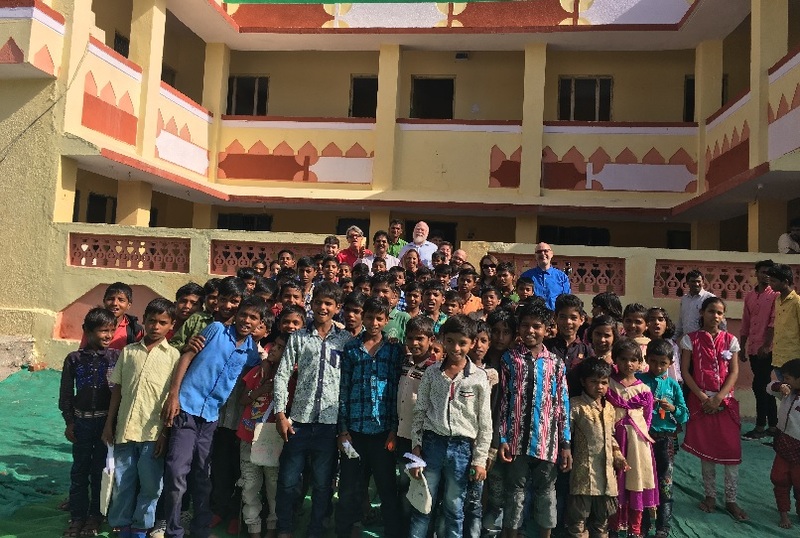 Sixty new orphan children found a home. 27th Anniversary and National staff conference was held in Hyderabad: 13-17, November. Center for Cultural Studies and Research became a member of ATA. Foundation for McKenna College of Education was laid in the Immanuel Academy campus. The year closed with a National Leadership Meeting in Kolkata on December 28 & 29. The Founder President announced 2014 as the Year of Youth Empowerment. 2014: Founder President visited Bangladesh early April. Bangladesh National Committee was organized. Collision Conference in Hyderabad: 3-6 May. Men's Residence Hall (hostel) was dedicated in Hyderabad in November in the Academy campus. Jehovah Rohi Children Home was started in Amritsar with 30 children. 2015: Graduation Ceremony for the first cohort of MBA students on January 29. McKenna College of Education and Auditorium were dedicated. Foundation for Women's Dorm was laid in April. A Hostel Buidling for 80 destitute boys was dedicated in Parlakhemundi on August 27. 2016: Women's Residence Hall In Solipet campus was dedicated on January 26 to provide safe residential education to girls. Second graduation ceremony for MBA students on January 29. Construction for Jehovah Shalom Boys' Home, Jehovah Nissi Community Center and Jehovah Jireh Boys' Home was initiated. 2017: Second floor of Guest House at Immanuel Academy campus was built. Biannual staff conference was held in Hyderabad. Adult Literacy Abhiyan was launched to teach literacy to 100,000 people. Foundation was laid for Center for Cultural Studies and Leadership. Security cameras were installed in Immanuel Seva Kendra, Bogaram and Immanuel Academy, Solipet. A pond was dug in Solipet campus. Dicku Enclave was built at Nagaram, Hyderabad to expand national office. Hostel buildings initiated at Rasika Rajpur, Odisha and Bagidora, Rajasthan. MA (leadership) program was launched. Distance Education program with BA, and BCom was initiated at Immanuel Academy under Kakatiya University. 2018: Jehovah Jireh Boy's Hostel building was dedicated at Katriya, Rajasthan and Jehovah Shalom Boys' Hostel was inaugurated in a simple ceremony at Rasika Rajpur, Odisha. Collision Youth Conference was held in IBS campus in May. Jehovah Rohi hostel began in West Bengal. 2019: Beginning with an incredible Self-help program. 100 families will benefit immediately in the first half. Rehab for Titli victims continues. Construction of Center for Cultural Studies began at the Academy campus, Solipet. 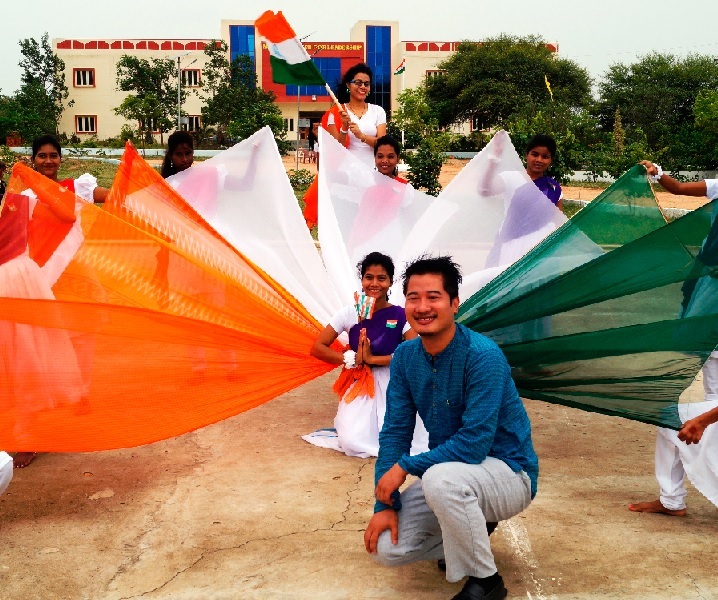 The orphanages run by AIM ASIA have been shaping the future of thousands of destitute children. Sabir, Sunil, Balamani, Pramila and hoards of other children are university graduates today because of these orphanages: Sabir is a finance analyst after his MBA, Sunil is a multimedia professional, Balamani is an engineer and Pramila is a staff nurse after her Bachelor of Nursing. Many of our children have made a space for themselves in government and corporate offices.